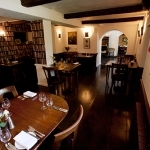 The Cotswold Plough, set in the village of Clanfield has bags of character and style and as a bonus, is a comfortable hotel, inn, and great restaurant combined. 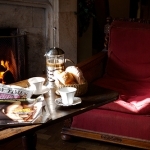 Originally built as a wealthy Cotswold Wool Merchant’s house in the mid-16th century, there’s a definite feel of history and warmth about the place with flag-stoned and uneven floors, open fires, panelled walls, oriental rugs, cosy rooms and mullioned windows. 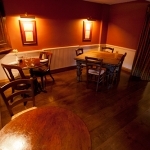 The Cotswold Plough has been welcoming guests for the past ten years and the friendly and knowledgeable team have created a perfect place for locals, visitors, folk on business, wedding and private dining party guests to relax, celebrate, drink, eat and stay. 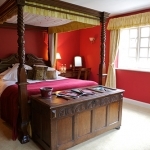 Eleven comfortable and stylish bedrooms, all ensuite, include three garden rooms on the ground floor and two, spacious, four-poster rooms. 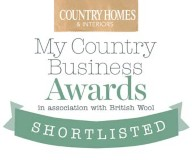 Each has WiFi, flat-screen TV, trays of tea, coffee and biscuits. Staff go out of their way to make sure all is well and comfortable especially if travelling with children. 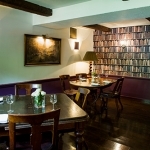 Eat in the bar or restaurant with a great menu and well stocked cellar. 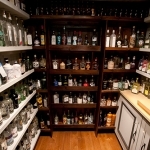 If you fancy mixing your own gin, having a taster, or treat someone to a special tutored session, you can here as The Cotswold Plough has its own Gin Pantry. 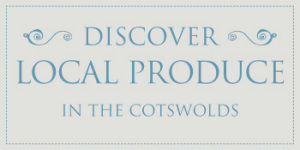 Wake up to a hearty Cotswold breakfast with toast, croissants, local jams and honey. Creamy porridge, full cooked breakfast with bacon, sausages, scrambled eggs, the works; maybe plump for smoked kippers, or perhaps waffles with syrup. Rooms lead out to the gardens outside. 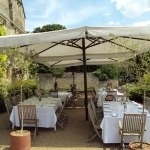 The front terrace with tables and large parasols is just perfect for sitting out with a glass in hand, a few nibbles – time to dither over the lunch or evening menu, or generally while away the moment. 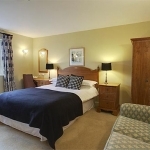 Book some time away soon! The village of Clanfield was mentioned in the Domesday Book in 1086, as having 14 villagers, 13 smallholders and four slaves. 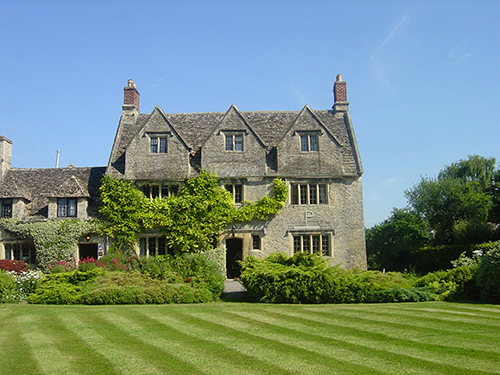 It has history with the land around showing barrows marking the spot of earlier inhabitants and a moated site which is occupied by Friar’s Court, built around 1650 and now a private house with grounds which is also licenced to hold weddings. 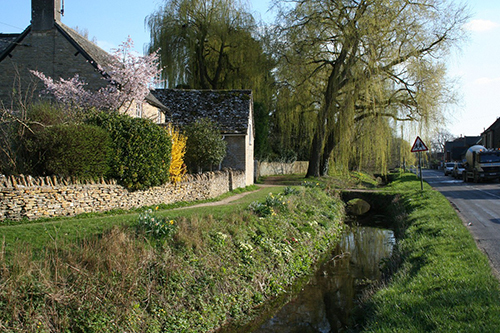 Nowadays this friendly and traditional village in West Oxfordshire, close to Bampton, Black Bourton and Brize Norton has grown and is lucky to have a post office and small village shop with fresh bread, cakes and savoury goodies made by Blake’s, a talented artisan baker, daughter of the postmistress, and also stocks everyday essentials. A coffee shop and delicatessen is due to open in 2016. A clear stream and brook runs through the village, crossed in places by small stone bridges and is worth walking along its way to really appreciate. 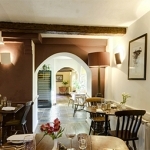 It has two village greens and a parish church, St Stephen’s, dating back to 1200AD and a pub The Clanfield Tavern, just across from The Cotswold Plough. Grassy banks and places throughout the village burst into colour with all kinds of flowers throughout the seasons and in the summer months Clanfield holds a village fete and a produce show in early September. 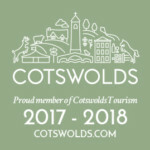 It’s a great little village to explore the Cotswolds. 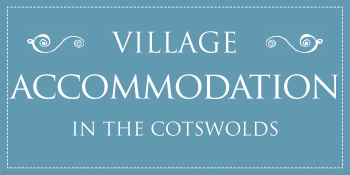 Contact The Cotswold Plough Directly by using this booking enquiry form.